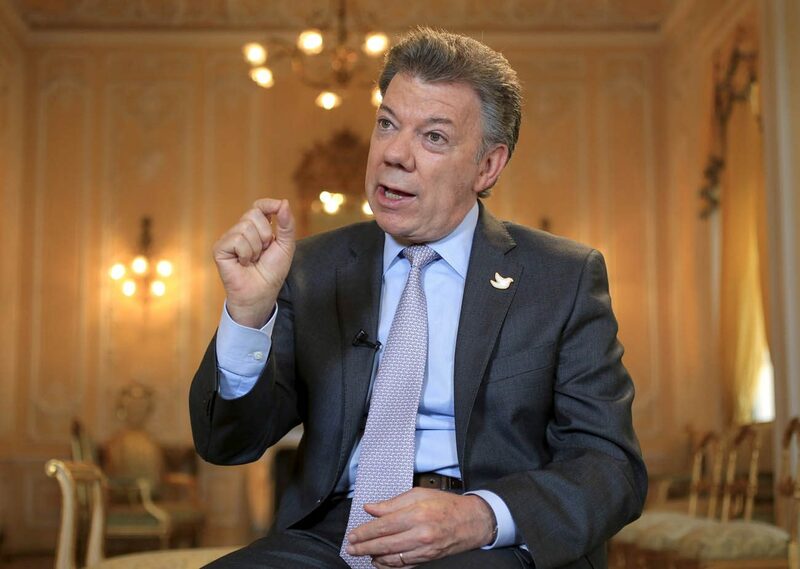 OSLO, Norway (CNS) — Even though the people of Colombia rejected the terms of a peace accord ending more than 50 years of civil war, the Nobel committee chose Colombian President Juan Manuel Santos as winner of the 2016 Nobel Peace Prize. “The fact that a majority of the voters said no to the peace accord does not necessarily mean that the peace process is dead,” the committee said, announcing the prize Oct. 7. The committee also recognized that “striking a balance between the need for national reconciliation and ensuring justice for the victims will be a particularly difficult challenge,” one signaled by the rejection of the agreement by a narrow margin. At the invitation of Santos and leaders of the rebel movement FARC, the Spanish acronym for Revolutionary Armed Forces of Colombia, Cardinal Pietro Parolin, Vatican secretary of state, was present for the initial signing Sept. 26 of the peace accord later rejected by voters. Pope Francis had said he would like visit Colombia once the peace agreement was finalized and approved by the people. Speaking to reporters just a few hours before the results of the referendum were announced, he said he would go to the South American country when everything is completely safe and when it is clear “there is no going back” to a state of civil war.